In this apartment complex, there is little of faith. Most of the kids tell us their fathers are in prison. Many of the others live in a single parent home. Few have a full house with mom and dad. 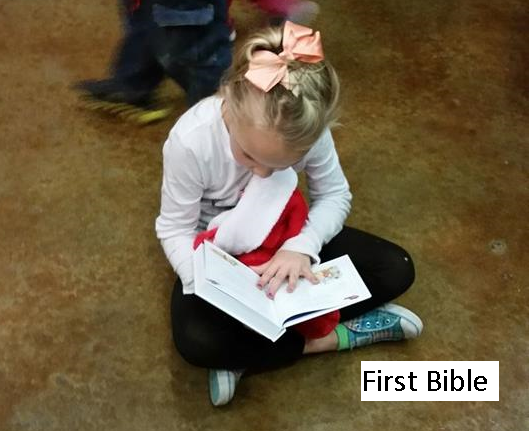 Here sits L. As she received her first bible, she sat down immediately and began to read. The impact brought me to tears. Living in a community where churches mark every corner, she had never read the stories of the Lord for herself. Her excitement was immediate and active. The stocking is full of wonderful fruits and nuts and a candy cane. Yet, they mean nothing compared to her joy in receiving the words of God. L is touching the words of the Lord not just on the page, but in the flesh with those that come to her and teach weekly. She reads the bible on their face and in their hands and expressed from their hearts. Thank you, Jesus, for the wonderful opportunity to share You with others. I weep at the priviledge to serve. Follow Me: Few people in life seem to be worth following. Honesty is out of style. Truth is irrelevant. Integrity wanes to the way of the world. Our leadership examples today are flawed and full of gaping holes. Jesus is worth following. Not only that, but He changes us to be worth following. His example and presence change us to be more like Him. Follow. 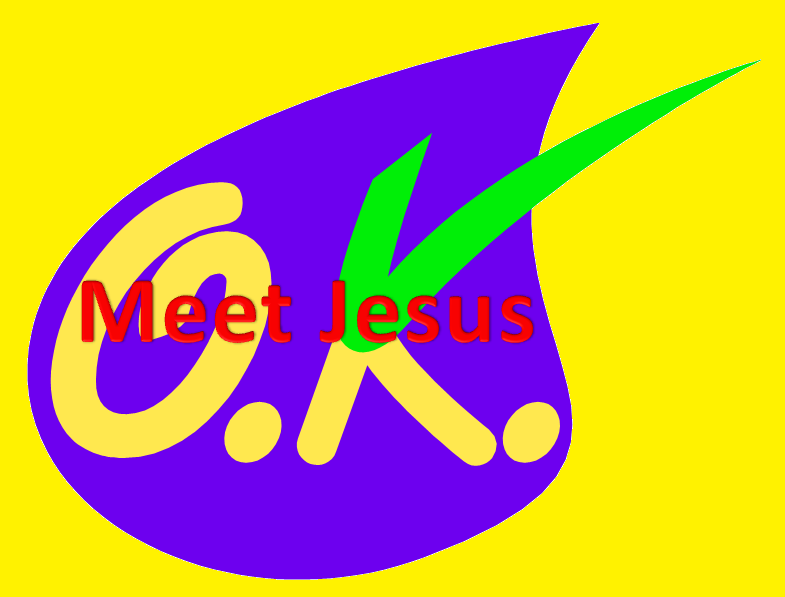 Follow Jesus: Jake was ready to follow this Jesus again. The morning back in the presence of God at church had impacted him. He wasn’t sure how to explain his feelings to his wife or to his old friend, Greg, or to Sally, who had invited him. He just knew he needed to get back in line and follow. Whatever that meant! He was going to find out…..
Act! Be worth following. It was his confidence, authority, and kindness that resulted in so many following. Find a place to be kind today and reach out to someone who can’t help themselves at the moment. Pray! Father, help me to be a leader worth following. It is my example to which others look. Help me to be the Christian of integrity that You seek. Encourage my faith to be bold in those areas in which you have commissioned me. Empower me to continue to do good to those around me in You. Let people see Jesus and follow Him in me. This devotion is #17 and final of a bigger storyline… Watch the category GSJ Story for miniseries. There is a place in Jesus where we can just sit right down and not worry about anything. Matthew 6:12: And forgive us our debts, as we forgive our debtors. A Place To Rest: Forgiveness feels good. When we meet the release of guilt, we relax. That is purposeful. In Jesus, we find a place to relax. Yes, He can be a place as much as our friend and God. There is a place in Jesus where we can just sit right down and not worry about anything. The past dissipates. The pain of mistakes subsides. We lay our head in His lap and great heaves of breath take away the memories. Remember to be the same for others in Him. Character Meets Greg: Attitude had always been important to Greg. As he thought of the character traits he’d like to see in the new team member, forgiveness came to the front. This was a tough assignment for someone. There were years of resistance to the project the team was pursuing. Tempers would flare. People would be upset. This new member needed to bring some forgiveness with them. As much as they would need excellent technical and communication skills, they needed a keen attitude of not taking up grievances and not holding grudges. Greg went back to prayer. 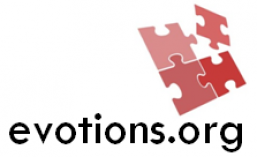 This devotion is #3 of a bigger storyline… Watch the category GSJ Story for miniseries. ACT! Sit down with Jesus for a moment. Just enjoy not being guilty. PRAY! Father of Forgiveness, it just feels wonderful to be with You. Sitting at Your right hand with Jesus is a wonderful place of release. So many times, Father, I can get caught up in the press of the day and the pursuit of power and accomplishment. Help me get caught up in You. Help me get caught up in Your wonderful presence in which there is nothing but joy. Matthew 5: 39: But I say unto you, That ye resist not evil: but whosoever shall smite thee on thy right cheek, turn to him the other also. 40: And if any man will sue thee at the law, and take away thy coat, let him have thy cloke also. 41: And whosoever shall compel thee to go a mile, go with him twain. 42: Give to him that asketh thee, and from him that would borrow of thee turn not thou away. Going the extra mile for others is the essence of long suffering. Suffering is quiet. To suffer means to allow. Long suffering means to allow for a long time. Jesus defines it even further. He looks for opportunity to suffer, to allow others to use Him and His resources. Jesus is absolutely bent on being used by others. The quest for Him is not about what others ask of Him, but about how He can offer beyond the asking. Jack’s Pain: Working with a team that was split on commitment was tough. Each had valid points. Each was entrenched in opposite directions. Long suffering was tested. The division had been ongoing in the company for six years and then some. Jack decided to be the walking mat. Someone had to let others “take advantage” to gain some trust and ground. It was tough, but over time some of the animosities began to turn into friendships. He was hopeful to really seem some team progress. This last meeting had been half the team directing criticisms at his area. Not much was founded in present reality, but at least they were venting openly instead of behind his back. There was hope. ACT! Who is asking for a piece of you or your time? What can you do that goes beyond the asking? Do it. PRAY! Holy, Gracious Father, the light and love of Jesus are beyond me. When I ask, He does more. When I impose, He expands the request to more. It seems I cannot put more demand than He can answer. Help me to suffer-long with others, Father. Help me to be like Jesus and go the extra mile with a smile. Matthew 4: 2: And when he had fasted forty days and forty nights, he was afterward an hungred. There is a fallacy in meeting Jesus that bears great correction. At times we approach Him as if He had some special advantage while He lived in that body born of Mary. Jesus was fully human. He got really hungry. He dealt with conflicting emotions. He lived as a human equipped with the Spirit of God even as He asks us to live. In being human, Jesus sanctified humanity. He made it okay to be fully human. He made it a good thing to be all the human we could be, to live up to our human potential – with God. Remember, while being fully human, He was fully God. Our task is to work on being fully human, with God. Being fully human, for us means being full of mistakes. Being fully human, means being able to correct those mistakes. Today I had a great opportunity to change my mistakes. A co-worker was upset with me about my actions. I had presumed what I did was okay with him instead of asking. It was okay. If I asked. Not asking was presumptive. It was inconsiderate. 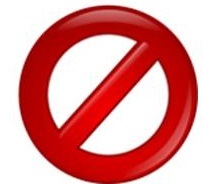 By repenting and asking, my mistake was changed to okay. He gave me that grace. It was good. Jesus helped me be human. ACT! Think of your most human moment this week. Thank God for making you a human. PRAY! Father, thanks for making me a human like Jesus. It must be really special to you, this human thing. You sent Your own Son to be one, just to make it special. Wow! I really don’t deserve it, but I really appreciate it. Thanks. John’s preparatory help is worth really reviewing. Fruit inspection is worth our time. Fruit inspection should best be done by us. Fruit inspection should best be done on us. John noted some tough untended stuff in these leaders because they were standing in the way of others meeting Jesus with their bad fruit. Hopefully, we do enough personal inspection that God doesn’t have to resort to outside help to get our attention. ACT! Take a little time to inspect and prune. What in your life is preventing someone from seeing the real Jesus inside of you? Can you cut it off? PRAY! Father, when I meet Jesus, He is so gentle, yet so true to the point. Help me to be honest before You inspecting my attitudes and life. Help me be a preparer of the way to Jesus, like John instead of being a hindrance to the way like the leaders in this story. I open myself to Your Holy Spirit for inspection and pruning to bring forth fruits meet for repentance.